Auto Glass Phoenix $50 Cash Back Today! As ridiculous as it might sound, it is true. 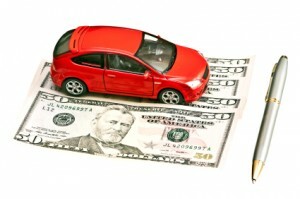 Get $50 cash back from Glas Tek when you file a no fault auto glass Phoenix insurance claim. The only other catch –the first being that the windshield damage must not be your fault- is that to qualify for this unbelievable deal you should have a 0% glass replacement deductible on your motor insurance. It gets better than that. Against popular suspicion there are no hidden costs or extra expenses, it is purely company policy in strict compliance with national insurance laws and pricing scales. ck for working directly with us! This is not a scam by any stretch of the imagination. What should be all the more assuring is that, whilst Glas Tek is the preferred auto glass Phoenix replacement company for several insurance policies, we do not oblige clients to come to us. Everyone has the right to exercise their free will when choosing a auto glass Phoenix company to make replacements. However, insurance companies have a statutory obligation to inform you of this right and not shove it down your throats. American Family, Safeco, Farm Bureau, Farmers, Allied, Geico, Nationwide, AAA, USAA and Progressive are notable insurance companies we have worked with in the past and they can vouch for us. Phoenix, Arizona is a golden egg in that it is one of a handful of states that provide for zero cost windshield replacement on comprehensive insurance cover with a 0% deductible. Auto glass Phoenix insurance is a drop in the ocean in terms of cost, this in light of the fact that you still get a $50 cash back upon the completion of the service. But what normally happens is that the deductible for other body damage will be much higher than the deductible for windshield damage, which is usually 0%. By simply getting in touch with us we will be able to establish the extent of your insurance cover, or assist you in filing an online insurance claim.